Jameson built a thing. Or rather, inspired by cheap dice on Bricklink, he built himself a Rubik’s Cube. 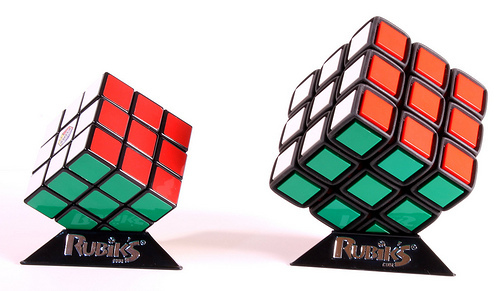 Given the amount of variations on the cube in general, I thought it was a real one from the thumbnail on Flickr. Impressive! I want to see more creations using those dice pieces. They’ve got some amazing potential applications. This is the first time I have seen the dice used in such a way too – brilliant! I think the next big thing could be using the dice to make a sprite based 3D character. That would look amazing (especially with the black outline of the dice).